Like most safety instruction comics, this one isn’t much helpful, especially when dogs are involved. 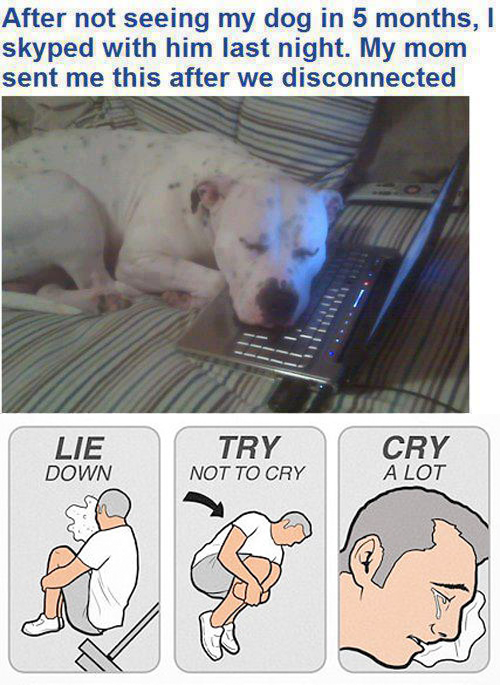 Skype usually makes us cry for different reasons. Crying has its benefits. 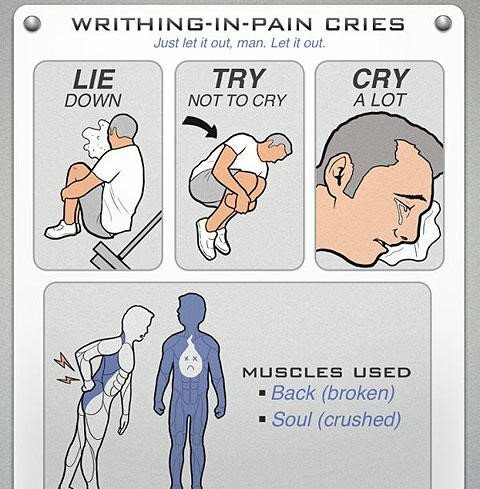 You can now say that you got your workout in thanks to this “Try Not To Cry” meme. 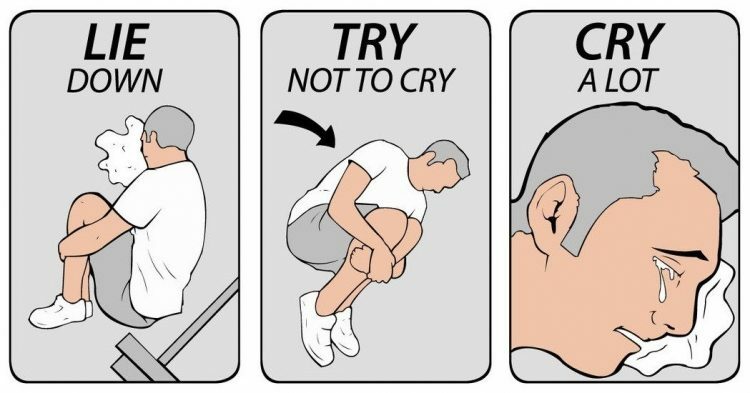 The “Try Not To Cry” meme is the meme that encouraged the Internet to let go of its pent-up emotions. 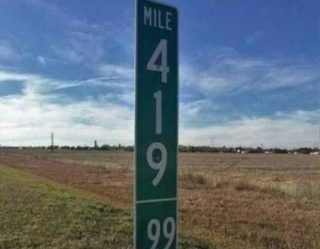 In a sense, it’s a historic meme. 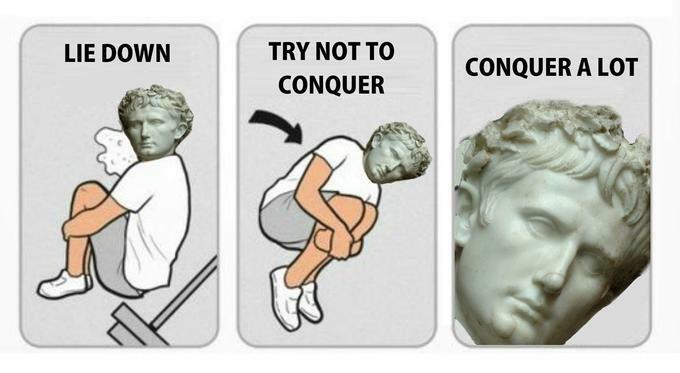 The point of the “Try Not To Cry” meme is that everybody has angst and everyone gets overwhelmed with emotion, even Roman emperors. 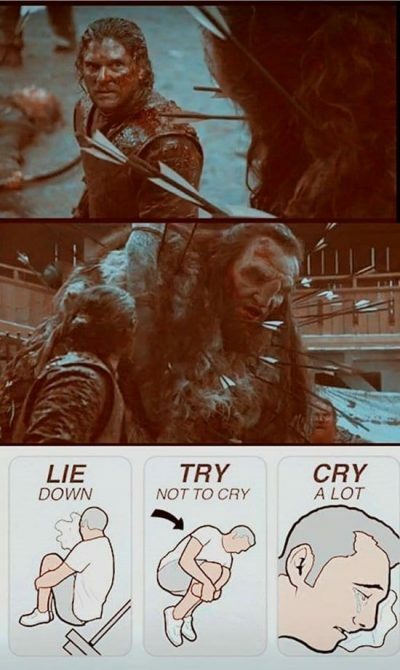 While people were crying about Hodor we grieved our main man Wun Wun. 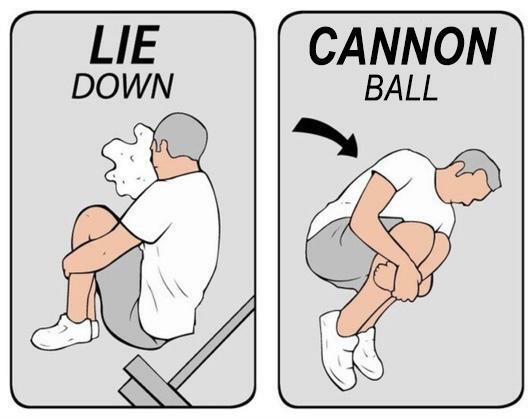 Basically, Game of Thrones was made for “Try Not To Cry” memes. 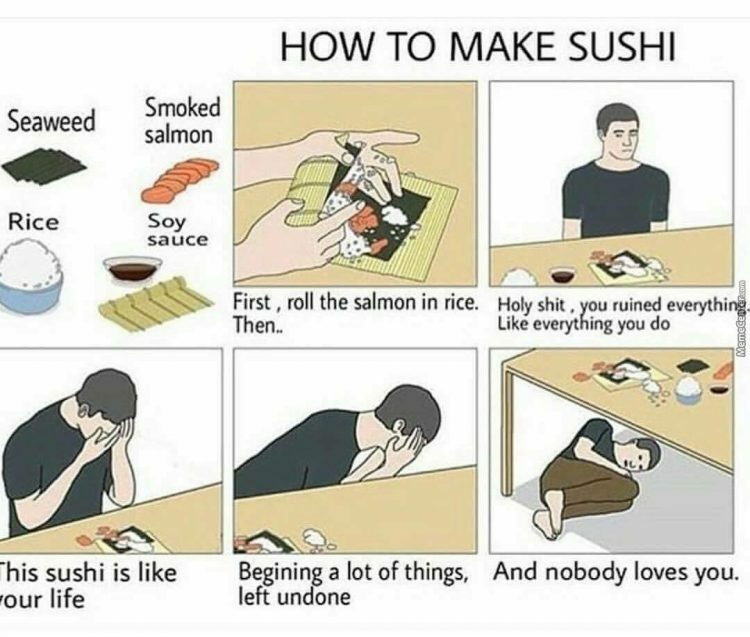 Trying to cook something new is a surefire way to make yourself cry, as this meme can attest to. 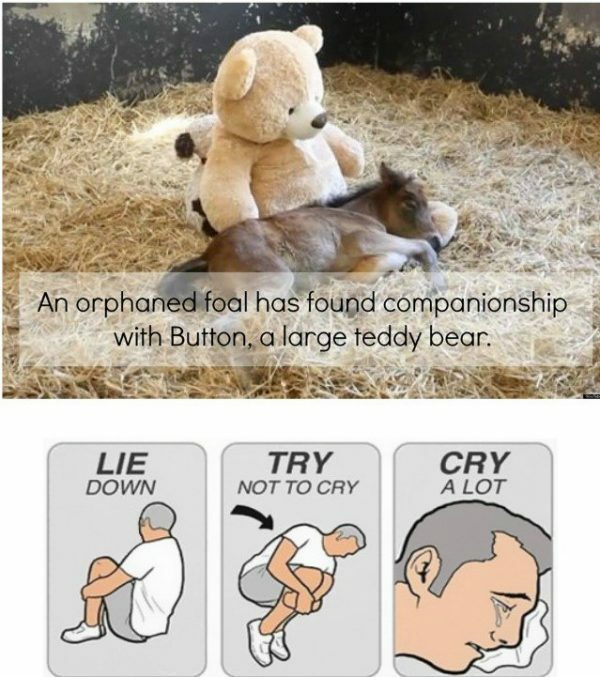 While the original “Try Not To Cry” meme has been very therapeutic for a lot of people, it was not immune from mockery. 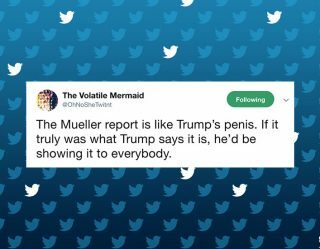 Never change Internet. Never change. 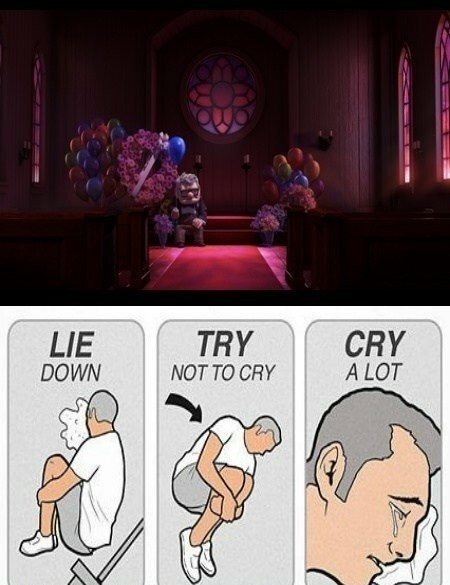 But if we’re talking about the mother of all crying moments, we have to mention the beginning of the 2009 movie Up and how we’ve never been the same since this scene. 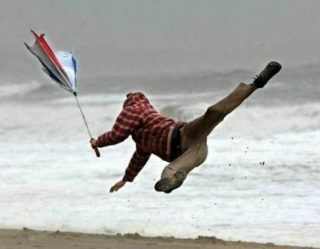 Even rolling on the ground and crying doesn’t help.